You’ve always been careful when planning out your next move, and of course that includes making sure the school you attend is legitimate. But allow me to spin you a tale. A friend of mine was ready to go to school for physical therapy. 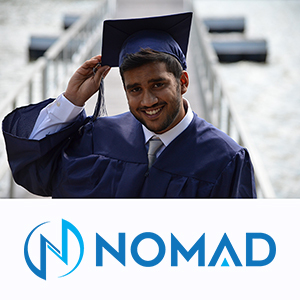 He was all set with prerequisites and started looking for a good program when he found himself courted by a school that seemed wonderful. Yes, they were new, but even Harvard had to start somewhere, right? They touted excellent faculty and facilities, and modern (read brand new) amenities. They even had their accreditation (pending... pending). As school started, it became clear that that pending accreditation was not going to come through. His classes were well taught, the lessons were the same as those at accredited institutions, but a shadow loomed over his classes. The school kept promising that the credentials would come through... and then they didn’t. He’d learned all the right material, but his degree ended up being a liability. He was passed over time and again for positions, because others had more substantial universities on their resumes. Again, even though he felt the academic experience could stack up against the best of them, the college's lack of accreditation meant that he was not eligible to join certain medical societies (which are very important for job placement), and many jobs were out of reach. It’s a dismal state of affairs. Don’t let this happen to you! Accreditation is a peer review board that judges schools based on academic criteria. The review board then stacks these up against established programs and makes sure a school is up to scratch. Why would my school NOT be accredited? Ideally, just because the school is new (like the one my friend attended) and is still waiting to be properly assessed. The other reasons are not so rosy. 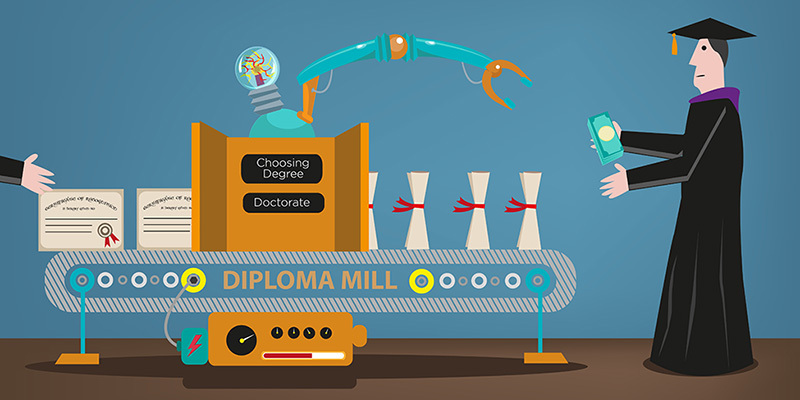 For one, there are for-profit universities that are basically diploma mill scams playing on your hopes and dreams. Many of these even falsify their credentials in order to fool those who are too trusting or don’t think to check, making up real sounding but fraudulent organizations that supposedly offer accreditation. 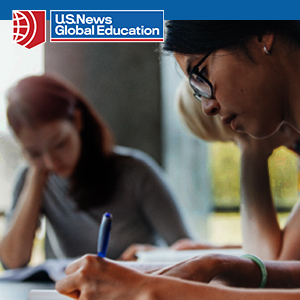 U.S. News mentioned "The Accrediting Council for Distance Education," which claims to be an "internationally recognized, independent and private education accrediting body," but has no backing for this claim. You can check with the Council on Higher Education Accreditation—they even have a handy PDF that lists all legitimate accreditation councils (as of January 2015). Make sure to cross-reference any accreditation listed with these sites. Or, to check to make sure you are not being hoodwinked, visit the U.S. Department of Education’s website. For English language programs, check the Commission on English Language Accreditation’s site. Don’t look just at the school. Check the PROGRAM! Some reputable professional organizations accredit specific programs. Colleges may be partially legitimate, but when it comes to their law degree, it’s not recognized by the Bar Association, or their School of Dentistry does not have a connection to the American Dental Association. I know it’s more legwork, but you’ll want to do it in order to avoid flushing your money down the plughole for a worthless degree. Another reason accreditation is important? Transferring credit! You might want to transfer or get a graduate degree, but if your school is not accredited, you can forget it. Before you start paying, call another college you know for sure is legitimate and ask if they accept transfer credits from your proposed school. Perhaps contact a state school like The University of Michigan. If they don’t accept your class for credit, ask why not? When you apply, ask about academic counseling and career placement services. If these are hard to come by, that is bad news. If your school is located in a small foreign country, but is only available to students in the U.S., be wary. Check testimonials from alums, but disreputable schools will provide falsified testimonials from “alums” or “students” who claim everything is fantastic. If you see multiple complaints online, that is a bad sign. Don’t be fooled by a name: There are instances of schools using misspellings or changing University to College to try to scam students. Oxford University is the one you think of when you deal with English prowess. Oxford College, however, is a scam. The diploma mill: The University of Berkley, was sued in 2007 because of its obvious attempt to be confused with the University of California-Berkeley. And more names like Americana University and Cal Southern may sound legit, but they are not. Be wary if a school is super pushy, particularly about financial aid packages that they “offer.” If overly engaging (in my experience almost hostile) financial aid counselors are hounding you, that’s a very bad sign. Don’t get me wrong, I’m sure you are very desirable for this university, but real financial aid counselors just don’t act that way. Is it absolutely necessary that my school be accredited? Actually, no—there are certain schools that offer practical training that doesn’t really require accreditation to back up their graduates. These include technical colleges and some arts colleges. You don’t need accreditation in many cases because your portfolio or tech skills will speak for themselves. The moral of the story is student beware! Make sure to go in with your eyes open and don’t fall for a program with a lack of accreditation when you can just as easily attend somewhere that will open all the doors you need, instead of leaving many of them barred. Ryan Hickey is the Managing Editor of Peterson’s and EssayEdge and is an expert in many aspects of college, graduate, and professional admissions. A graduate of Yale University, Ryan has worked in various admissions capacities for nearly a decade, including writing test-prep material for the SAT, AP exams, and TOEFL; editing essays and personal statements; and consulting directly with applicants.